We all go through ups and downs in our lives and those things can actually impact our garden. Sometimes we have to plow through some pretty traumatic experiences such as cancer or losing a loved one. And when that happens, there’s no avoiding the fact that we change as people. The gardener within us can change as well. Sometimes, we decide to change our style of gardening or we might suddenly crave a total shift in climate and location. That’s what this episode is about. I brought on garden designer Rebecca Sweet who happens to have one of the most beloved private gardens near the San Francisco area. People have been touring and admiring her garden for many, many years. Today, she talks about choosing to leave that garden and offers up some inspiring and insightful tips for when we may feel the need for a massive change in our own lives. 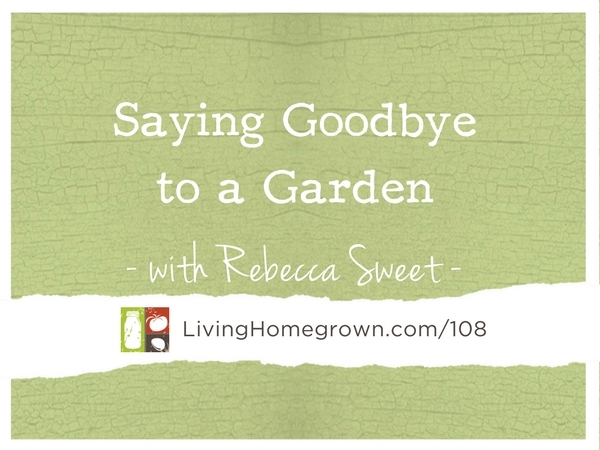 She also shares how we can take the bittersweet moment of leaving our garden behind and turn it into a lovely gift for the new homeowners. Her ideas were SO beautiful, they almost made me cry! It’s a very touching interview! 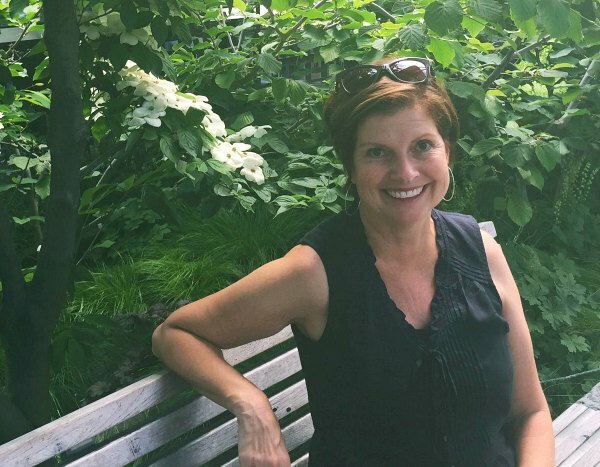 Rebecca is the owner of the garden design firm Harmony in the Garden located in Los Altos, California. Her work has been featured in numerous publications including: Sunset magazine, Fine Gardening, Horticulture, Woman’s Day, Country Living Magazine, as well as regional publications. Rebecca has also been featured on an episode of Growing a Greener World, with fellow garden designer Susan Morrison, where they shared tips on vertical small-space gardening. They wrote a book together called Garden Up, Smart Vertical Gardening for Small and Large Spaces. 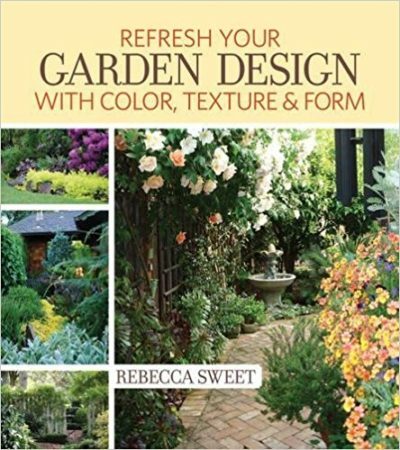 Rebecca’s latest book, Refresh Your Garden Design With Color, Texture and Form is one of the best DIY books on garden design I have ever found. (And I’m not just saying that because she’s my friend – It is actually really, really good!) In the book, Rebecca teaches all of us how to use tried and true garden design tricks to take our existing garden to a whole new level.